Fukui Architects designed a state-of-the-art demonstration kitchen in Phipps Conservatory’s Botany Hall. 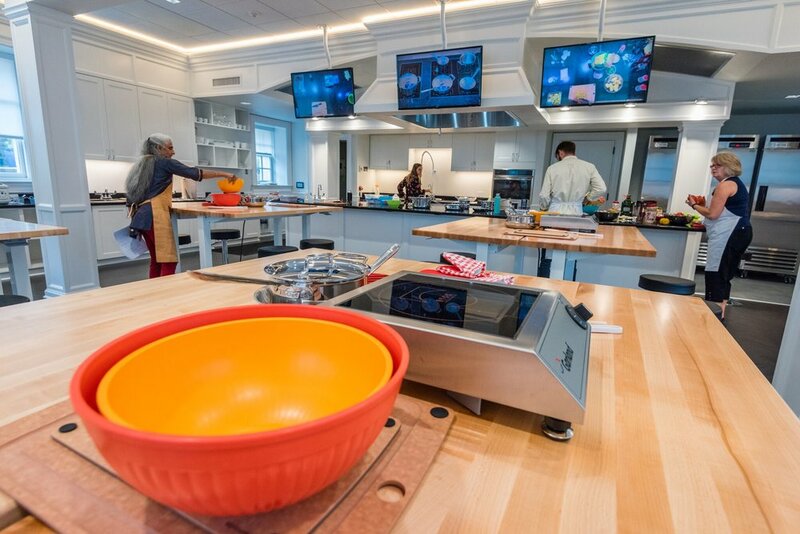 It is used as a community service facility primarily for public cooking demonstration classes for all ages, adjacent to Phipps’ edible gardens. This project adheres to Living Building Challenge materials criteria, meaning no products from the Red List are included. The materials Red List was originally compiled by the International Living Future Institute (ILFI) as part of its Living Building Challenge, intended to promote human health. The list includes materials and products that are considered to be harmful to humans. Phipps Conservatory and Botanical Gardens is a historic landmark in Pittsburgh that was built in 1893. Botany Hall was constructed in 1901 as the Conservatory’s’ first education facility. Read an ARTICLE from the Pittsburgh Post Gazette dated 21 August 2018.